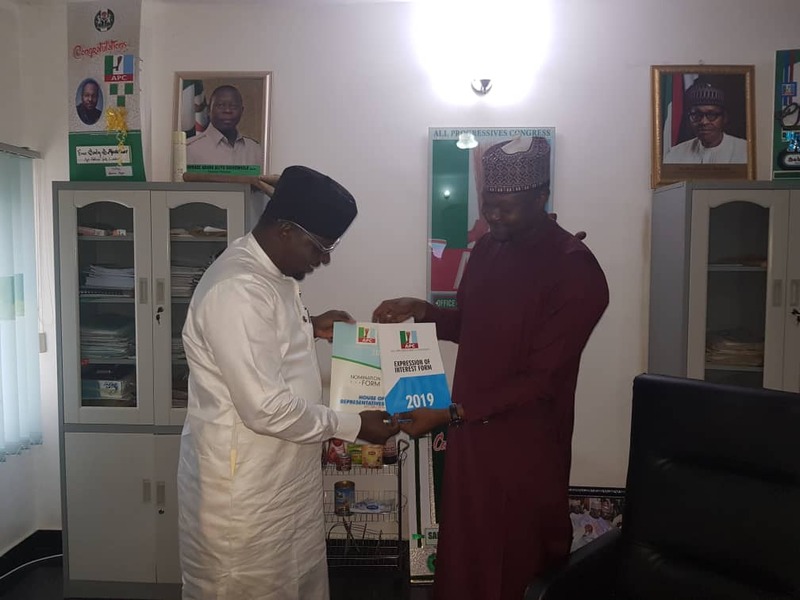 A top Economic and Financial Crimes Commission EFCC officer Sulaiman Bakari is certainly a huge contender and a force to beat as excitement greeted the large crowd that accompanied him to pick his nomination form to represent the people of Jalingo, Yorro, Zing federal constituency of Taraba State at the National Assembly in the 2019 general elections under the platform of the All Progressive Congress (APC). 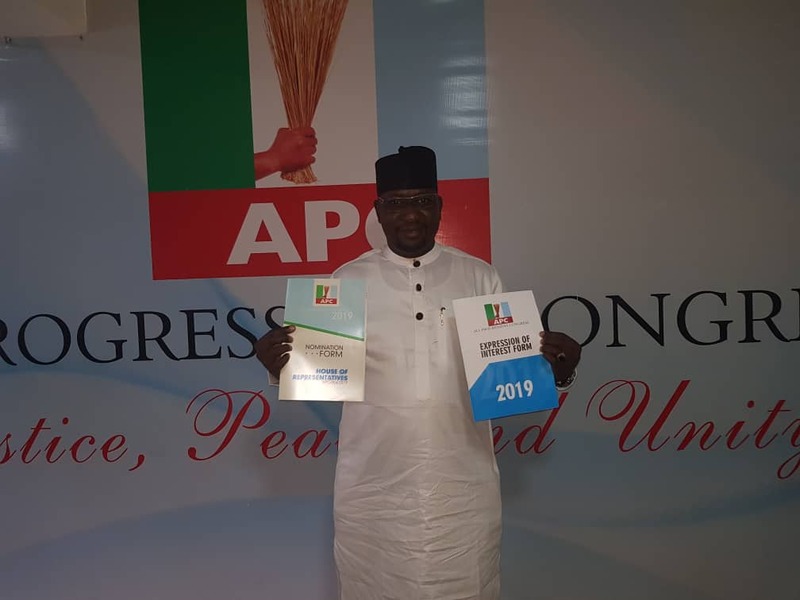 Bakari picked his nomination form in the early hours of Monday, 10th September, 2019 at the party’s headquarters in Abuja. This confirms the earlier reports that SB, as he is widely known, has been dissatisfied with the level of representation at his constituency could take the bull by the horn in throwing his heart into the race. The purchase of the nomination form comes on the heels of the call on the current representative not to bother contesting as he would find his support in the mud that would entrap him. S.B who exudes in him the training and experience he has acquired over the years while working as a top EFCC detective said corruption must be nipped on the board if we must progress as a nation: “I am not coming for self-aggrandizement or other personal wishes, but to rescue Nigerians from the menace of corruption. Our education is backward because of corruption; we went into recession because of corruption; our youths are unemployed because of corruption and the list goes on and on”. 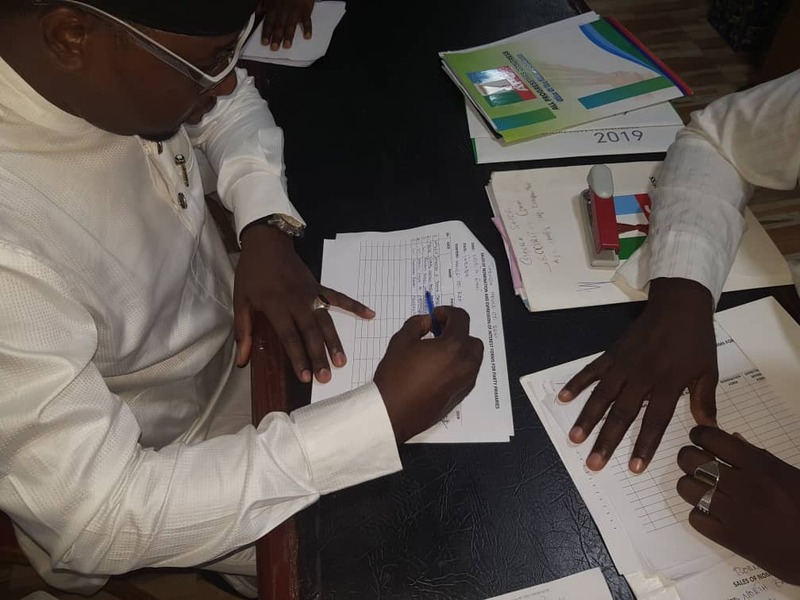 He added that his call to represent the people of Jalingo, Yorro, Zing was to move them out of the shackles of corruption, saying the constituents deserve their entitlements which is the dividends of democracy. A staunch supporter of Sulaiman Bakari said “the time has come for us to redeem ourselves and our ideologies. We need to participate in the decision making process of our constituency. We have been relegated to the background by our current representative who dwells in satisfying self over everyone else in his constituency. We must break this chain and join the train of progress. We cannot vote someone who milks himself and his family alone. We are wiser. We will vote out the self centred representative”. SB has been an EFCC liaison officer at the National Assembly for several years where his job was found to be much more commendable. His presence at the National Assembly gave him the opportunity to represent the Commission in most functions and engaged in numerous management programmes. Most worthy of note is that while serving at the National Assembly, Sulaiman participated in some special projects in conjunction with the leadership of the national Assembly and shared some outstanding ideas. Mr. Bakari has had the opportunity to attend so many professional courses both local and international. He was also privileged to be trained by the Federal Bureau of Investigation FBI, USA, as Fundamental Criminal investigative Analyst, April 2015, at West Africa Regional Training Centre, Accra Ghana. 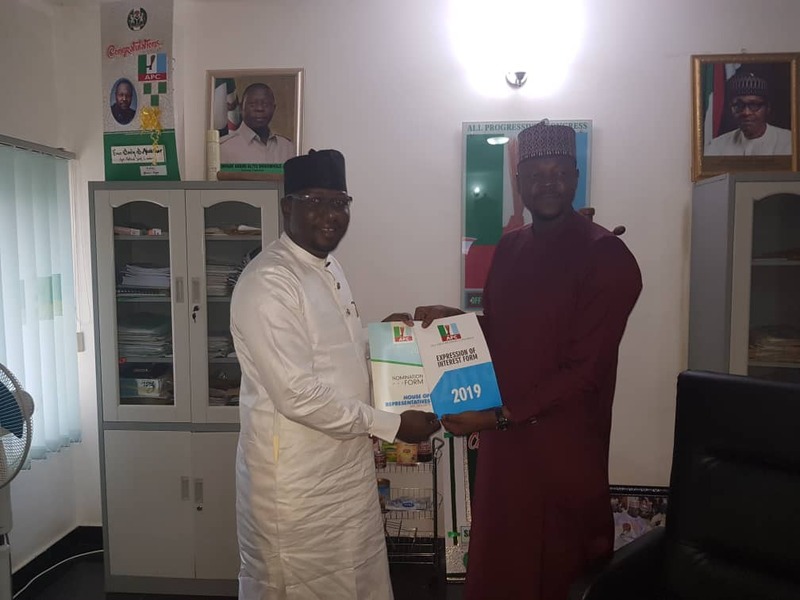 In his unbridled quest to acquire further knowledge, Mr. S.B returned to his alma mater, that is, Ahmadu Bello University Zaria in 2012, where he obtained a Master’s Degree in Law Enforcement and Criminal Justice. He is currently running another 2-year Master’s Degree Programme in Anti-Corruption Studies (MACS), with the only Anti-Corruption Academy in the world, the International Anti-Corruption Academy, Laxenburg, Austria. According to him, “one man alone cannot fight corruption. It must be a collective drive. If we want to get ourselves back on track following the dreams of our heroes past, we must rid corruption from our society. The anti-corruption fight must be taken to the National Assembly. Once it gets there, we shall witness a better Nigeria”.